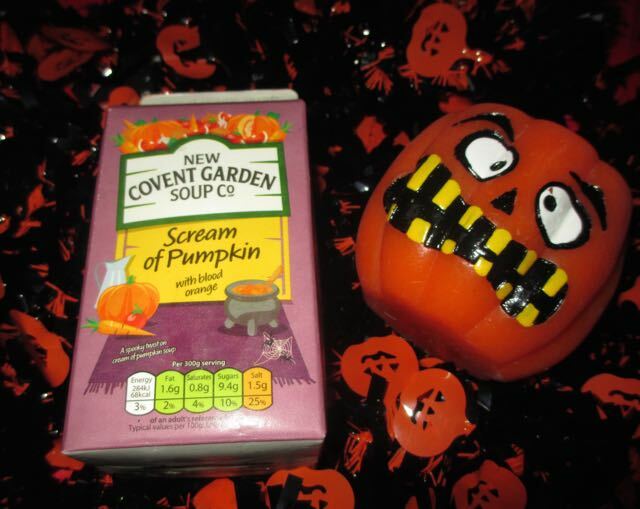 As Halloween is coming we thought we'd try out the new seasonal soup from Covent Garden; Scream of Pumpkin. Loving the name! Just for good measure the other main ingredient other than pumpkin is blood orange, just to keep things up with the theme. 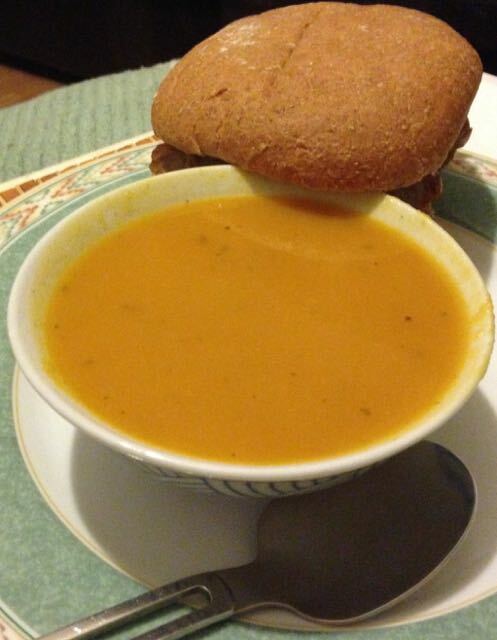 The soup is a lovely orange colour and although the there aren't pieces of pumpkin in it, it is still quite a hearty thickness. The taste wasn't what I was expecting at all. The dominant taste was that of curry and spices, it isn't hot with chilli, but the warm of Indian style spices shone through. The next taste to appear was a citrus twang, not sweet like you might expect from the aforementioned blood orange, but sour and bitey. The autumnal taste of pumpkin only came through as a bit of an aftertaste, hidden because of all the complex flavours. The first spoon I had of this didn't work for me. I was expecting that wholesome pumpkin flavour and it didn't appear and I was left trying to work out what my taste buds were interpreting. By the end of the bowl I had grown accustomed to the spices and sour taste and was really enjoying it. Strange I know, I did really like the soup, it just didn't taste at all like I was expecting. I would happily have this again, despite my initial reaction. It would probably be fun to have this on Halloween night, it might not be aimed at children's tastebuds, but adults could have some fun with the theming and trying to guess the flavour.